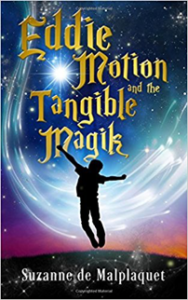 Eddie and his best friend Melody dive into an enchanted world where nothing is as it seems. Faeries bite, trees talk, ogres block the path and Squiggins surprise them as unexpected friends appear and everyone, even you, seems to have magikal powers! Suddenly, everything that made them different, even the bits they had thought weren’t so cool, are celebrated.Unearthing the importance of accepting themselves in their truest form they discover how to create balance between their feelings and their thoughts. As they re-discover their own unique gifts they begin to learn how to travel through the turbulent world wearing a new ‘seat belt of awareness’ to reclaim their true birthright and let their souls sing! Eddie’s ‘Tangible Magik’ helps friends to overcome the challenges set before them in the magikal land of Andalustria and it can help you too.Eddie wants to share his magik with you, so when you get to the end of his first adventure you too can dive into the ‘Tangible Magik’ toolkit, which can help you to understand how to create more of your very own special magik…..
A quirky widow in her early sixties takes her first job ever in a private investigator’s office. Arriving early she discovers an agitated man waiting at the door. He insists he must see the PI immediately. In the midst of his anxious demands, he clutches his chest and collapse. Shocked, she runs for help. Upon returning, the man has disappeared. The police are skeptical dismissive of her story. To prove she’s not a wacky woman, she attempts to find the missing man using only the cryptic note and he left in his place and his last words as her clues. Meanwhile, the private investigator is onto something and tells her to retrieve a disc in his file cabinet which must be delivered to the police immediately. When she enters her office the next morning, she’s met by two men who usher her out at knife point and drag her into a waiting limo.Abducted and held hostage, she’s drugged by her captors who are trying to get the mysterious disc. 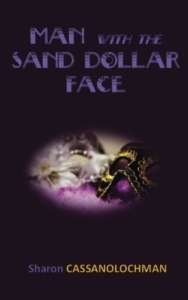 As the story unfolds she finds herself embroiled in an international drug trafficking ring.Everything hinges on finding the man with the sand dollar face. My goal is to reach and transform as many lives as possible to awaken other people to this same level of consciousness, one soul at a time starting with mine. I am inspired and motivated by the outer realms of my mind that which I see but may not yet be visible to others. I try to stay open at all times to receive new information to deliver to those who are open to new possibilities and want to receive healing for the body-mind-spirit. 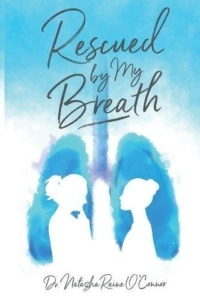 Rescued by my Breath is Natazha’s real-life respiratory fairytale. It depicts how Natazha transformed her suicidal breathing habits. Instead of suffocating and sabotaging herself, she began truly loving herself. That enabled her to recover from trauma, reconcile with her Mom, and live happily ever after with her prince charming. Natazha felt compelled to write Rescued by my Breath after her Mom died. Witnessing her Mom’s life-long struggle to breathe due to allergies, asthma, emphysema, and lung cancer taught her to profoundly value breathing. Her story reveals we all have the power to heal ourselves through our respiration. Rescued by my Breath teaches you how to befriend your breath in order to discover the root causes of your ailments to become stronger, healthier, and happier. *Relate to your breath to improve all your relationships. In Own Your Value, you get a ring-side seat to meet more than 40 innovators who are friends, clients, and supporters.Their stories from our field experience are examples of real-world experiences you can relate to that are relevant to your challenges. You will walk alongside them through the four levels of our proven research-based model, the Flow Value Model™.Applying this model to our work over the last 15 years, gives you insight on how to Free Yourself, Love Innovators, Open to Increase Value and Welcome Doing Something for the First Time. These innovators are the real heroes and this is a small part of their heroes’ journey toward success. As you move through their journey, you will feel their excitement and experience the feelings of enthusiasm, fear, joy, and success. You will then Own Your Value, and see how it can help you be successful and make the connection to your life, community, and career! Take a ride with JohnEgreek as he journeys to the Old Country in fulfillment of a childhood promise made to his grandparents in 1956. 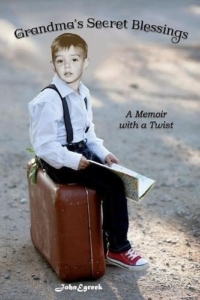 His grandmother, insightful and deeply spiritual guides him throughout his lifetime as he himself opens to the reality of something higher than himself. What happens along the way is a surreal journey and a deeply rooted experience. 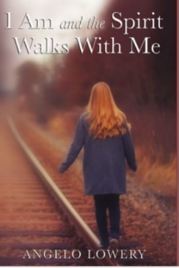 Travel with him and his pseudo family, as they discover the avenue to his soul and the recipe to Grandma’s Secret Blessings, bestowed upon him while she is alive and long after she is gone. Everyone at some time or another will lose a loved one, but death is not the end, it is the beginning and they do find a way to speak to you from beyond. Make no mistake, this book will open your eyes as you discover the magical recipe to Grandma’s Secret, Blessings and you, too, can use them to heal your heart and find the avenue to your soul. 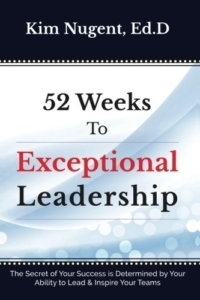 52 Weeks to Exceptional Leadership is a practical and inspirational guide for leaders and managers. It is a business book for those who have the responsibility for developing talent in their departments and organizations. If you are that forward-thinking leader or a manager, this book is for you! As you integrate your company’s resources, impart your experience, inspire with your philosophy, with this book by your side, you can confidently add enthusiasm and results to your performance. This book will walk you step-by-step each week for the first year to build upon the talent and strengths of the individuals you manage or lead. This guide adds real structure to your management strategies, saves you time, money and gives you a weekly topic for your coaching calls or meetings. Inside you will find a weekly journal page to record your actions, reflections, and areas for improvement. Inside the book, Dr. Kim Nugent gives you the opportunity to read and address one practical strategy per week for one year. 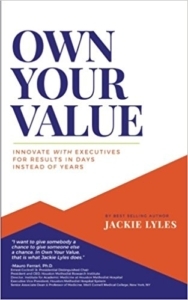 Use this book for self-improvement or as a guide in developing new leaders, managers in any organization. Kim advises that after you implement each strategy, make notes in the provided journal space about what worked and what could be improved. She attests that this weekly practice will become a habit. Inside this book, you will find fifty-two strategies to build a strong foundation in the area of leadership development. This practical guide assists you in enhancing the exceptional skills and talents you bring to the position or as part of your mentoring new leadership talent. You can indeed read topics in random order, based on your immediate priorities and concerns. Try not to read the whole book and put it away. If your preferred learning style is to read the entire book for the framework, context, and content, that is fine. But make sure to go back and re-read one-strategy-a-week and complete each journal page to further reflect on your implementation of the strategy with your team. That is where you will find the treasure and the real value of this book.